Refreshing Daily in God's Word: Daily Devotion: What Can He Have? Envy is when someone wants what you have, and when you want what someone else has. Jealousy is different. It’s when someone doesn’t want you to have what they’ve got. Saul was jealous of David because he didn’t want David to have his kingdom. Jealousy is destructive; as a result of Saul’s jealousy, not only was Saul himself destroyed but the kingdom was on the brink of ruin. 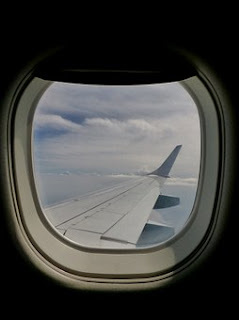 I travel some and when I travel by plane, I always ask for a window seat. It was on a flight to Salt Lake City, Utah, that I ran into a slight dilemma. As I arrived at my window seat a young lad no more than ten years old was in my seat, and making himself at home, I might add. Well, this posed a problem. He had what was mine and I didn’t want him to have it. No matter how you try to justify it, this is jealousy. It may be a simple illustration, but yet still that’s what jealousy is—me not wanting you to have what is mine. I could have made a big deal out of it, but rather than making a scene, I let him have the seat. By the way, I’m glad I did. I found out later that he was the pilot’s son. Now I understand that there is a “righteous” jealousy. For example, if someone is after your bank account and you “defend” it, that is a righteous jealousy. God said, “I have loved you with a righteous jealousy.” He defends and fights for those who are His. Needless to say, David wasn’t after Saul’s kingdom. Although it would be his in time, Saul was jealous of David with an unrighteous jealousy. ✞ Remember a jealousy such as Saul had will destroy. Be wise. Be godly.